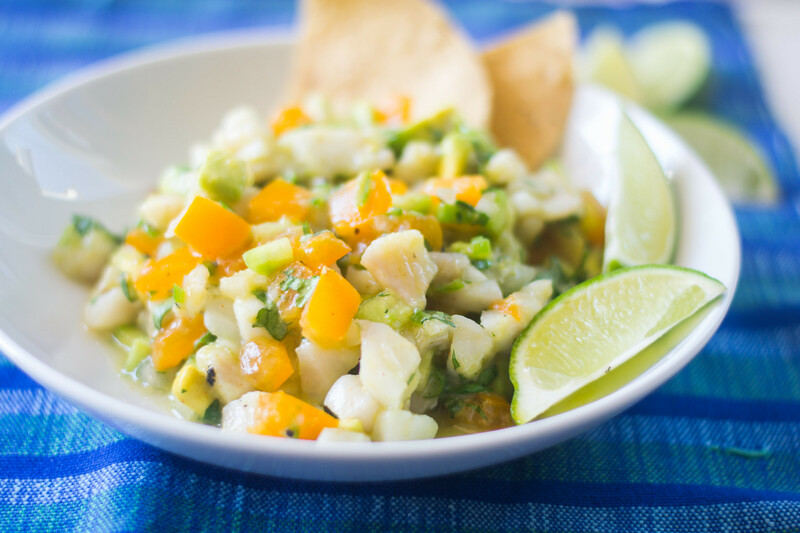 Feliz National Ceviche Day! 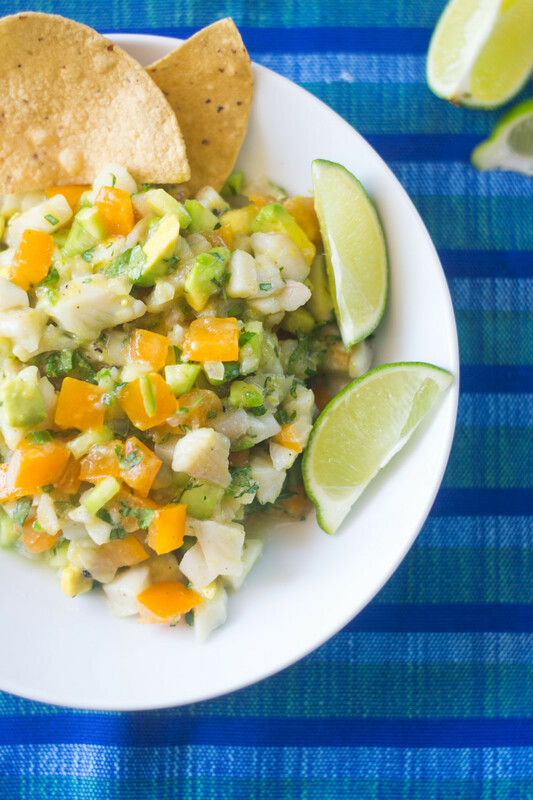 There is no better way to celebrate summer than to pile a big bowl of ice cold ceviche to the beach. Please do it and you’re welcome. Oh, with extra hot sauce too of course. I have a love/hate relationship with spice and when it comes to any kind of Latin cuisine, the zantac chasers are not far behind. I have several kinds of chiles in the house, everything from mild jalapeno (yes, I call that mild) to smoking hot dried hatch chiles. Then there are the dozen of different hot sauces I have. I have the gringo classic, cholula, a smoky hot sauce that I use for flavor, and some other hot sauces I store for emergency heat consumption necessities. Now that is not including the Asian hot sauces I have. Overall, I have an addiction. My gut hates me and I have a Costco sized Pepto in my fridge that I drink more often than my coffee. It’s a problem. So yes, there is heat in this ceviche, but not much depending on how much hot sauce you want to add. I like to add in a whole serrano and depending who else is eating it, will leave the seeds in or not. After everything has marinated, I taste for heat level and will usually douse a bit more of the smoky hot sauce. Have you ever seen the commercial where the food is fighting and punching the guy? That’s me. I take the punch and then fight back. One day the heat will win, but not yet. 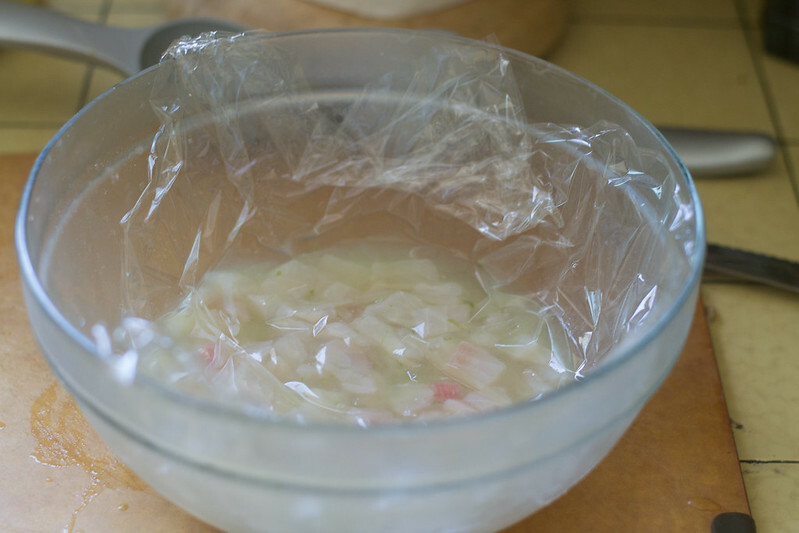 Another ceviche tip and I learned this the hard way. LAYER the flavors! 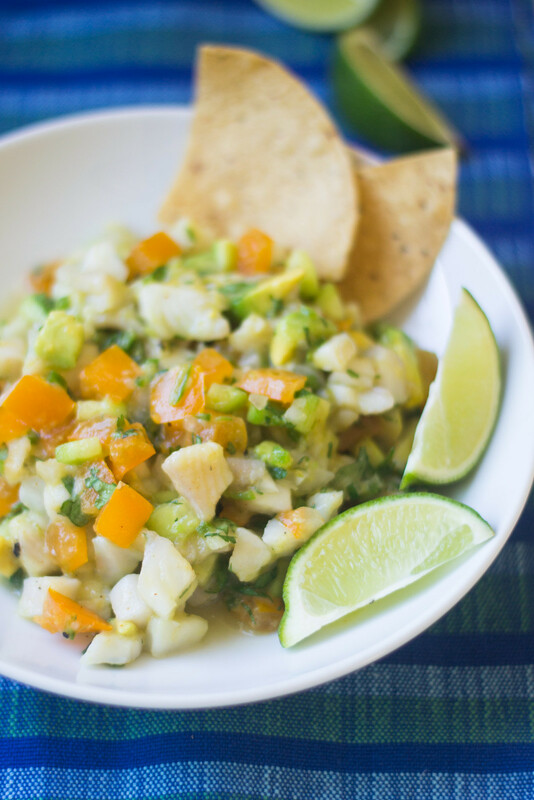 When I first made ceviche, I had no idea what to do, so I threw it everything at once. The avocado, fish and citrus and it was a mess! The fish was sour and avocado mushy, I cringed when I had to throw all that fish away, but it was a good lesson to learn. So this time, “cook” the fish in the citrus juice. Test for doneness and then add the rest fo your flavors. 1) Make sure to buy a good quality fish. I would certainly go to a trusted fish market or fish department of your favorite store and tell them that you’re making ceviche. The fish should should not be too soft but still have firmness to it. Cut out the bloodline and any bones if there are and cut into small bite sized pieces, about 1/2 inch cubes. 2) Add fish to a glass bowl (I wouldn’t recommend using metal because it may react to the citrus) and pour in citrus juice and zest. Make sure that the juice covers all the fish. Then cover the fish with plastic wrap and place in the fridge to let it marinate for 2 hours. Every half hour or so, use a spoon to toss it around. 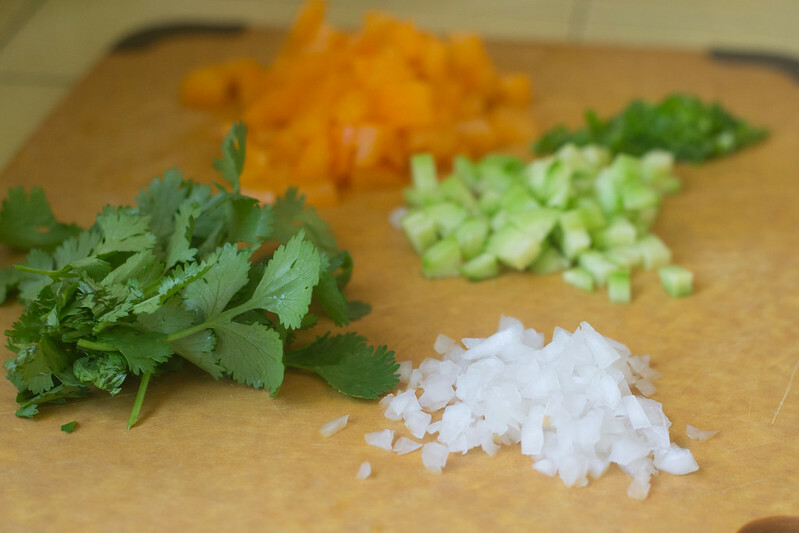 3) While fish is marinating, chop all vegetables and herbs to about the same size as the fish. Add the avocado right before serving. 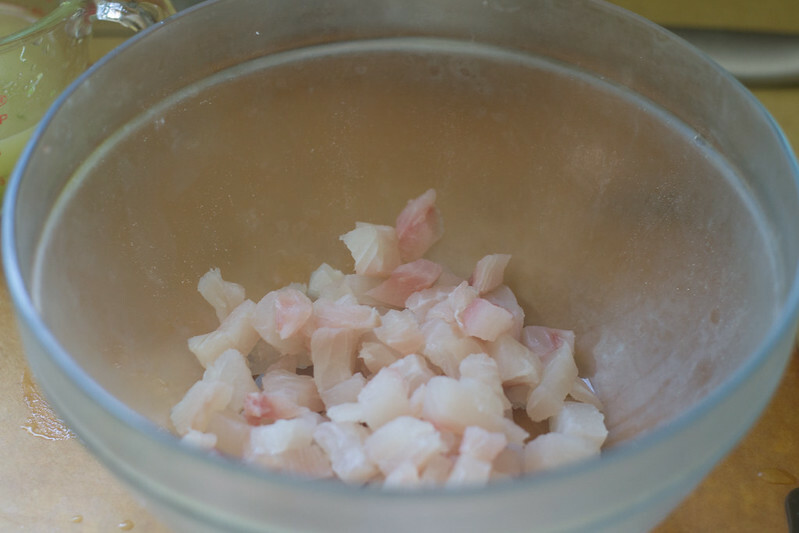 4) When the fish is done, it should look opaque and white. 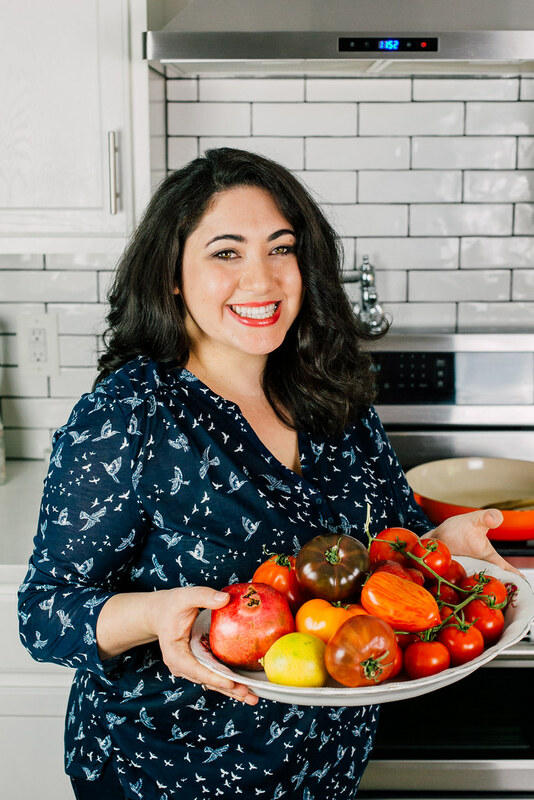 Discard the citrus marinade, leaving about a tablespoon. Then add all the vegetables, salt and pepper, cilantro and at the very last minute the avocado. Toss gently and taste for seasoning. Serve with extra lime sedges and hot sauce. Make sure to buy a good quality fish. 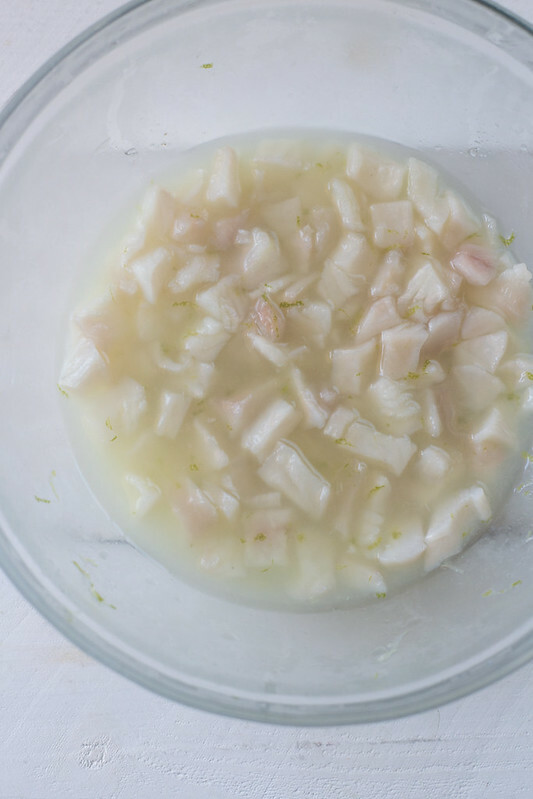 I would certainly go to a trusted fish market or fish department of your favorite store and tell them that you're making ceviche. The fish should should not be too soft but still have firmness to it. Cut out the bloodline and any bones if there are and cut into small bite sized pieces, about 1/2 inch cubes. Add fish to a glass bowl (I wouldn't recommend using metal because it may react to the citrus) and pour in citrus juice and zest. Make sure that the juice covers all the fish. Then cover the fish with plastic wrap and place in the fridge to let it marinate for 2 hours. Every half hour or so, use a spoon to toss it around. While fish is marinating, chop all vegetables and herbs to about the same size as the fish. Add the avocado right before serving. When the fish is done, it should look opaque and white. Discard the citrus marinade, leaving about a tablespoon. Then add all the vegetables, salt and pepper, cilantro and at the very last minute, the avocado. Toss gently and taste for seasoning. Serve with extra lime sedges and hot sauce.